I love to make Italian food and use lots of ‘lazy’ garlic products such as frozen crushed garlic. So the idea of prepared and peeled garlic cloves is definitely attractive to me. 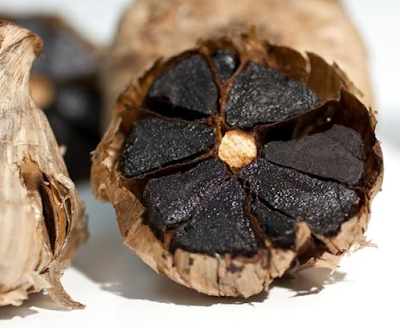 Balsajo Black Garlic comes in many different forms such as paste or ready to use cloves. The balsamic-y garlic is made using heat and humidity over an extended period of time. I made garlic bread with it which was lovely and I also stirred it into mushroom risotto which was also divine. I’m not ashamed to say that I also ate some of the cloves directly from the packet as I love garlic. This garlic is yummy and I recommend it if you like fuss free cooking and like to eat garlic!